Micellar cleansers essentially are a lightweight, water like cleanser that can be used for cleansing the face on the go. No rinsing is required and that’s the beauty of these. MUA’s have been using them for years as a quick way of removing makeup without irritating the face but now they’ve entered mainstream skincare for quick and easy cleansing. 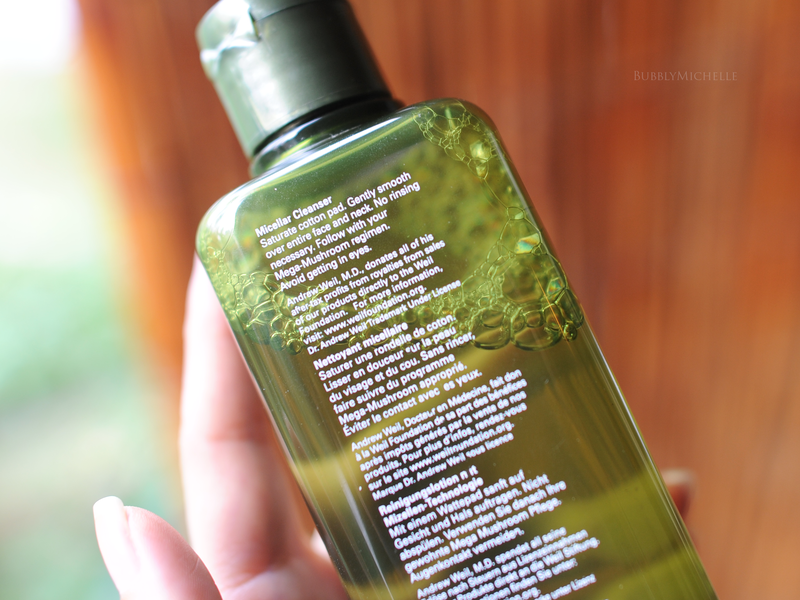 Origins came out with their own version of the micellar cleanser this year and if you’re already familiar or use the Mega-Mushroom line, it’s of the same family. As described in the press release, this new product was created through necessity. Specifically for city dwellers who constantly battle smog, car emissions and other environmental aggressors that have a negative impact on ones skin. Since regular washing can disrupt the skins natural protective barrier, this micellar cleanser becomes the perfect solution to lift away and gunk and debris without causing any irritation or redness. The packaging is a no fuss, plastic bottle with a flip cap where the product dispenses via a nozzle. It’s sturdy and travels without any leakage. I also love that the nozzle makes it easier to decant into a smaller bottle if you are planning on taking this in your carry on since it’s ideal as a quick skin refresher before you land. 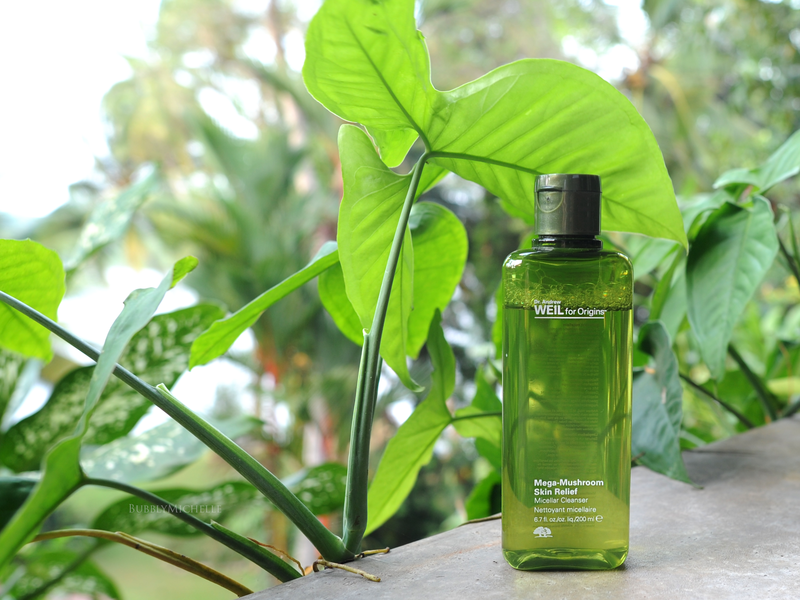 The Origins Mega-Mushroom Micellar Cleanser is a clear liquid with a green, spa like scent. It’s the same fragrance through all the products in this line which I believe anyone sensitive to strong scents may not particularly enjoy. I myself on the other hand have grown to love the scent of products heavy with plant extracts and find it rather refreshing and relaxing at the same time. For everyday use I find this an effective first cleanse. A soaked cotton pad takes off most of the makeup, after which I go in with a balm or an oil cleanser to thoroughly cleanse the face before my night time skincare. 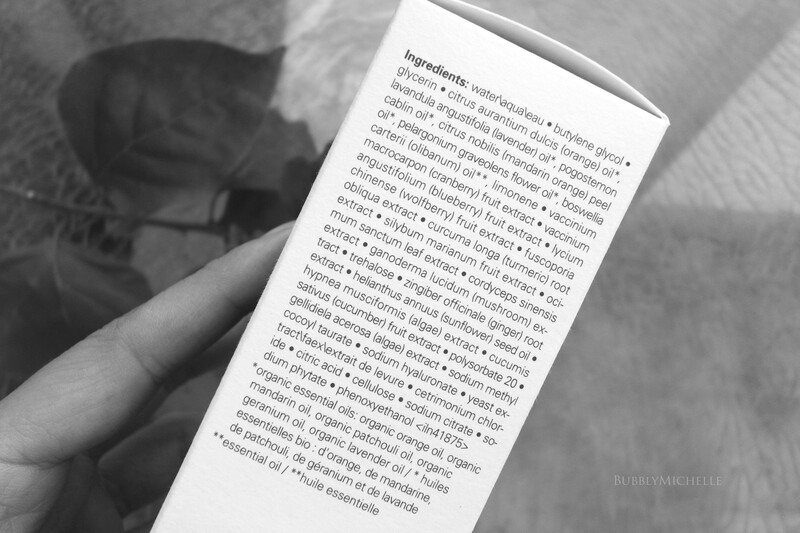 As stated at the back of the bottle, the cleanser is suitable for face and neck, avoiding the eye area as it stings. Overall I do enjoy the product. It’s a quick and effective way to clean your face regularly throughout the day. 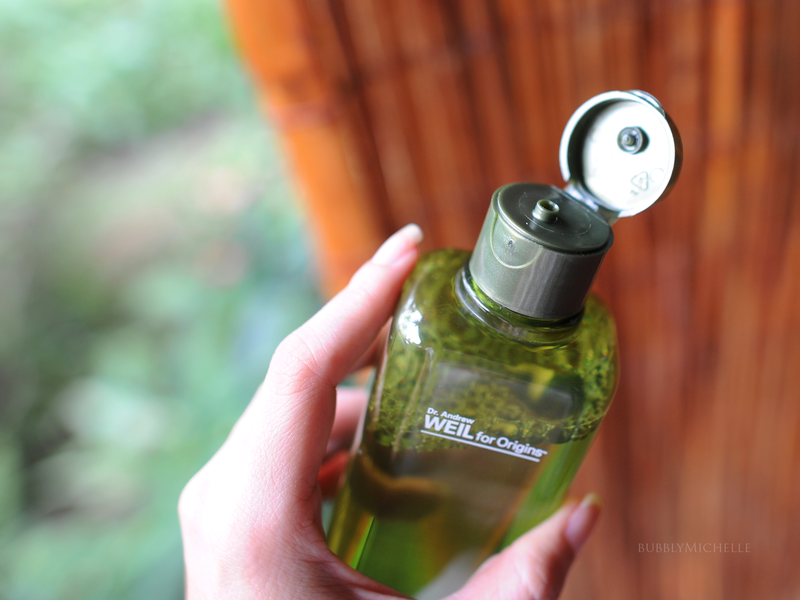 I also love that it’s a no rinse formula that lends itself to delivering skincare benefits apart from merely cleansing. Does not contain soap, oil or alcohol. packed with skincare ingredients such as, Reishi, Chaga, Ginger & Turmeric to promote skin resilience. Also includes Rice Bran extract to neutralise the effects of hard water which has a high mineral content. And Yeast Berry ferment to combat the effects of pollution with it’s natural anti-oxidant properties. Retail price S$52 for 200ml. Available at all Origins counters islandwide. Hello! Do you meant “Available at all ORIGINS counters islandwide? Thank you for pointing that out! Yes, I mean Origins.